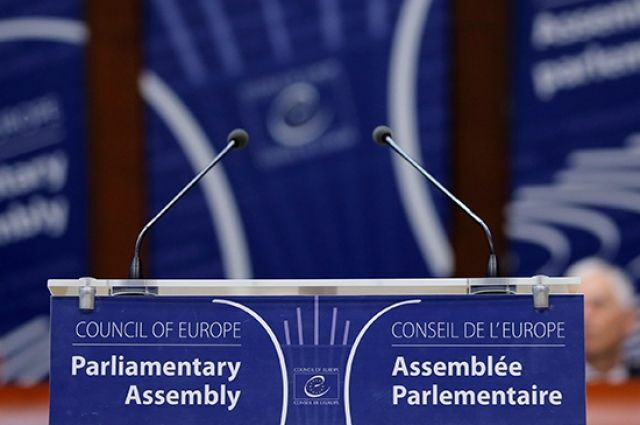 Deputies of the State Duma of the Federal Assembly of the Russian Federation declare that the Parliamentary Assembly of the Council of Europe (PACE) severely violated the rights of the Russian Federation as a member of the Council of Europe, depriving the delegation of the Federal Assembly of the Russian Federation of the opportunity to vote at meetings and participate in the governing bodies of PACE, to be rapporteurs, to take part in the PACE election observation delegations, to represent the PACE both in the bodies of the Council of Europe and outside this organization. As a result of the protracted anti-Russian campaign, the activities of Russia in the Council of Europe along the parliamentary line were actually suspended, and the Parliamentary Assembly of the Council of Europe itself, breaking the foundations of parliamentarism, found itself in a deep systemic crisis. In view of the current situation, in particular, more than half of the judges of the European Court of Human Rights (ECHR) were elected by PACE without the participation of Russian representatives, which calls into question the legitimacy of the decisions of the ECHR in relation to Russia. A similar situation exists with respect to the institution of the Council of Europe Commissioner for Human Rights, in whose election the Russian delegation also did not participate. Depriving the vote of the Russian delegation, which consists of popularly elected representatives, is a restriction on the rights of our country’s citizens, guaranteed by the Statute of the Council of Europe. Deputies of the State Duma did everything possible to find solutions to overcome the current situation, maintained a constant dialogue with the leadership of PACE and the leaders of its political groups, made specific proposals for adjusting the Regulations of the Parliamentary Assembly of the Council of Europe to exclude the possibility of revising the credentials of delegations of Council of Europe member states. The Russian side openly expressed its position, including the corresponding statements of the State Duma. The Russian delegation does not require any preferences for itself, but acts in the interests of ensuring the equal rights of parliamentarians of all countries to represent the interests of their voters. The State Duma considers it necessary to bring the Regulations of the Parliamentary Assembly of the Council of Europe in line with the Charter of the Council of Europe, which guarantees the equal rights of all forty-seven Council of Europe member states. To date, no significant progress in the position of the PACE has occurred. In this situation, the State Duma sees no reason for the return of the Russian delegation to the PACE and the resumption of payment by the Russian Federation of contributions to the budget of the Council of Europe. In this regard, the deputies of the State Duma declare the inexpediency of sending an application for confirmation of the powers of the members of the Russian delegation to PACE in 2019. In making such a decision, the State Duma acts in the interests of the citizens of the Russian Federation and the Russian state.